The shape of stringed instruments such as violins, violas and cellos consists of an upper bout, lower bout, and two C-shape bouts on either side. Looking from the front or back of the instrument, these features create an “hourglass” figure to the instrument. The shape is more than just attractive to the eye; it is the result of centuries of optimizing the design of a richly resonating bowed multi-string instrument. For over 300 years, viola-, cello- and violinmakers have continued the “hourglass” tradition with very few alterations to the shape. One purpose of the shape is that its “waist” comes inward to give the bow easier access to the strings. Like many bowed string instruments, the middle of the instrument is convex, and the sides have C-shaped bouts so that the bow can easily play each string with a long sustain and no conflict with the instrument shape. For similar reasons, the bridge has a rounded top so the strings can be played individually as well as two at a time. What makes the instrument tall is the larger body box which provides for greater resonance. As expanding width-wise would not be possible, violinmakers recognized that a longer shape would allow for more resonance while still being playable. Greater resonance adds to the harmonic richness and warmth of the instrument’s sound. 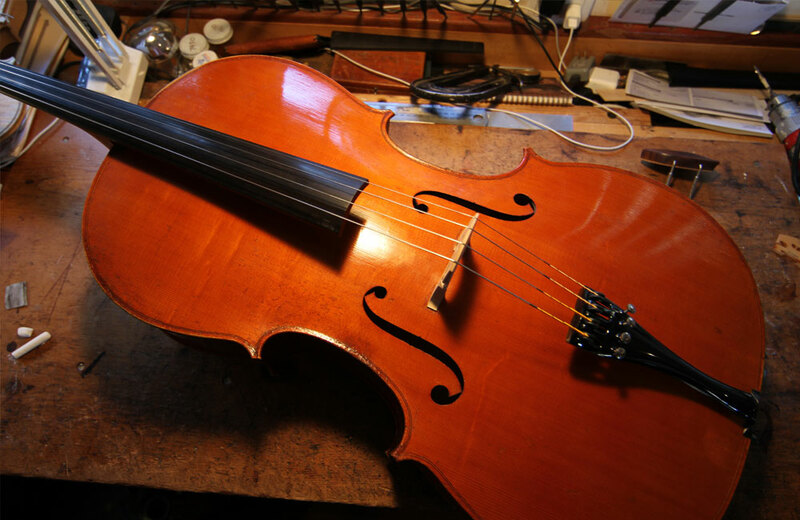 The shape and construction of the body of violins start with a template. It is made of metal in a “half violin” shape and is used to construct a mould made of wood, fiberboard or plywood. Ribs are built around the sides of the mould from pieces of wood that are heated and curved. The sides are formed and connected into a “garland” around the template, which is then removed. The luthier is then ready to add on the top and bottom of the body.